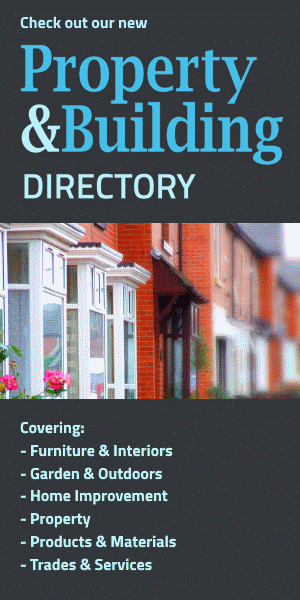 The Home Interiors Directory Bookstore features the best home and interior-related titles, in association with Amazon.co.uk. This refreshing take on colour is from one of the world's leading interior design bloggers, Will Taylor of Bright.Bazaar. Are you keen to use colour to imprint your personality on the canvas of your home, but lack the confidence to do it? Whether you want to add temporary colour to a rented space or introduce a whole new colour scheme to a home of your own, like a helpful and encouraging friend, Will guides you through making the most of the cornerstone of your life - where you live. He starts by giving you jumping-off points, from playing with fabric and pattern to layering in lighting, showing you how to learn to trust your colour instincts. Next, from soft and delicate pastel hues to bright and bold colour statements, ten colour cocktails each take on a different palette, arming you with the know-how you need to replicate the look at home. Will shares the personal photographs and memories that inspired his palette and shows you how to translate your inspirations into real-life decorating schemes. He explores specific colour palettes for every room in your home to give you the confidence, knowledge and inspiration to get your colour choices right first time. Packed with personality and heart, playful but informative, engaging but practical, Bright Bazaar is brimming with ideas that work. With this book in one hand and a brush in the other, you can learn how to transform everyday furniture into something special, all for the price of a pot of paint. Annie Sloan is a paint legend and one of the world's most popular experts in the field of decorative painting. In Colour Recipes for Painted Furniture and More, Annie presents 40 new projects and ideas, showing you the easy way to update tired furniture and transform your home. Working with her own range of chalk paints, Annie shows how to mix colours and how to achieve certain looks. Whether your taste is for colourful boho chic or restrained Swedish hues, cosy and comforting rustic shades, a modern and contemporary approach or an elegant French look, here you will find a project to suit you. Start off by mastering the simple art of colourwashing, and work your way up to transfer printing, gilding, stencilling and glazing. There are even instructions for dyeing fabric using paint. As well as painting furniture, the projects range from a staircase painted in a rainbow of colours to stencilled walls, transforming floors with a coat of paint to dyeing linen curtains and even painting a vintage chandelier. Throughout the book, Annie offers expert tips, techniques, shortcuts and guidance, showing you the easy way to create a stylish home. Is there any item of furniture more conducive to endless reinvention, more expressive of an infinite array of design sensibilities, than the chair? From Shaker and Mission styles to the innovations of Charles and Ray Eames, the chair has always represented the paramount incarnation of practical design in everyday life, and a distinctive chair design still has the power to entirely alter the feel and look of a space. This all-new survey of innovative seating designs, compiled by Charlotte and Peter Fiell, renowned authorities on the subject, showcases over 1,000 chairs by some of the world's greatest designers, from Alvar Aalto to Marco Zanuso. Here you'll find such outstanding furniture as a woven cane indoor/outdoor chair made by British designer Harry Peach circa 1913, the slats of its sides sloping gracefully as the frame of a harp; the red Baker sofa, designed by Finn Juhl in 1951, with the upper portion of its backrest seeming to hover in the air; and the NV-53 sofa and chairs, which showcased the marvellous flowing lines Danish craftsmen coaxed from teak. Each image in Landmarks of Chair Design is accompanied by a concise descriptive text outlining the item's design and historical context and an introductory essay details the main styles and developments that have occurred in seating design over the past 200 years. Furniture collectors, design lovers, fans and proprietors of design and furniture shops, interior architects and anybody who appreciates a chair that stands out from the crowd will all find this volume an indispensable resource. Vintage designer Pearl Lowe shows you how to create the authentic vintage look in your own home with her expert advice and simple craft projects. This practical guide, complete with inspiring photography, includes 50 step-by-step craft projects; sewing, painting, upcycling and crafting secrets; a how-to guide to sourcing your own vintage treasures; and Pearl's little black book of shops and suppliers. An absolute must-have for lovers of vintage and all things handmade. From its humble origins as a Tudor hunting lodge to its present-day status as a protected historic building, Nicky Haslam's delightful 'Folly de Grandeur' is a unique English country house that is one of the renowned decorator's favourite places. In this beautifully illustrated book, 'Part 1: A History of the House' provides a timeline of the house together with an overview of the design aesthetics that characterize Haslam's look. 'Part 2: The Essence of Style' covers wall finishes, soft furnishings, the transition from room to room, furniture form, style and arrangement, classical elements, and creating tableaux with objets and photographs. In 'Part 3: A House for All Seasons', you will find a year-round appreciation of this remarkable home, which was once owned by John Fowler, co-founder of the interior decorators Colefax & Fowler. By recounting events - from society gatherings to quiet country weekends - stories about the rooms, and details about the decoration and furnishings, Haslam reveals the personal touches that give the folly its unique sense of life, both indoors and out. Inviting us into his carefully preserved and lovingly decorated country home, he explains the intricacies and delights of carefully mismatched furniture collected over the years, a colour palette of subtle, warming tones that are quietly welcoming and effortlessly romantic, and a wonderful collection of art that is nothing short of inspirational. Finally, in 'Part 4: The Perfect Setting', Haslam shares unique garden design secrets and outdoor 'rooms' that complement his celebrated home. RICE picked the name of their company because it is a basic survival product for many people in the world. They like to show people how the basics of everyday life can be made so much more enjoyable by bringing colour and a sense of fun to daily living, whether by using colourful accessories in the kitchen or by introducing colourful fabrics, textures and hints of humour in to the living room. Danish design is not all about cool and calm interiors. RICE Style is all about fun, colour and enjoyment. RICE creates innovative homewares collections that are ethically sourced and produced. They are in stores all over the world from Liberty in London and John Lewis in the UK and Illum in Copenhagen to Huset in Malibu and So Perfect Eats in Denver USA. The book features RICE style applied to a variety of homes, from a contemporary Copenhagen apartment to a simple country retreat, a comfortable family home to an ultra modern studio space. Happy Home is a beautiful demonstration of the RICE ethos, and how its warm and caring, fun and funky aesthetic can be applied in living spaces, kitchens, bedrooms, children's rooms and outdoor areas. Want to add some colour to your home but just don't know where to start? Love blue but don't know which shade to choose? In this dazzling new book, Grand Designs presenter Kevin McCloud has taken all the hard work out of home decorating by researching, selecting and combining over 120 particular colours into 70 tried-and-tested palettes that are guaranteed to transform your home. A stunningly produced sourcebook, it has been put together by an acknowledged expert in the field of paint and colour and printed by the astonishingly accurate hexachromatic ( six colour) process. Each palette provides a blueprint for a decorative scheme that you can transfer to your own home confident in the knowledge that it has been sourced by a renowned authority on colour, while every swatch in Kevin McCloud's Cool Colours can also be individually matched to a commercially available paint to help you effortlessly achieve your chosen look.A short introduction describes the history of colour and its replication, colour theory, how to combine colours into a palette and advice on how to use the book. Thereafter the bulk of the book is devoted to the colour palettes themselves - each made up of a collection of between 3 and 8 colour swatches and featuring an inspirational photograph demonstrating its possible use. Every palette is also introduced by a short piece of text describing its influences, potential and variety. Whether your choice is period or modern, rustic or urban, the text and photographs will show how the colours can be used in a variety of ways. Kevin McCloud's Cool Colours will be a must-have purchase for anyone considering changing the colours of their home. This is a unique and invaluable reference book, which is destined to remain on the shelves for years, or even decades. Domino: The Book of Decorating follows a straightforward, room-by-room chapter structure featuring a run of lusciously photographed, beautiful interiors forming the centrepiece of each chapter. Large double-page images punctuate more densely packed spreads; richly composed full rooms alternate with sensuous details. This sequence of spreads puts the reader inside real, finished rooms from the Domino universe, each annotated to translate how its distinctive beauty and sensibility has been achieved. For a new generation of homeowners and renters, Domino: The Book of Decorating promises to become the decor bible: a constant source of guidance, inspiration, and excitement. The Natural Home is a place where natural materials and motifs are the key elements of a decorating style that is a joy to live with and a joy to behold. Influential art director and stylist Hans Blomquist starts off by exploring the essence of his style. In Texture, he revels in the textures and patinas of natural materials. Still Life reveals Hans' passion for creating displays that showcase treasured pieces, while Plants and Flowers celebrates the beauty of nature and the cycles of the natural world. Colour presents his favourite earthy, natural colour palette, which provides the perfect backdrop for hits of brighter natural hues. In the second part of the book, Homes, through a series of case studies, Hans explores houses and apartments that showcase the beautiful simplicity and elegance of the natural look. Mixing aesthetics, architecture, arrondissements and elegance in a very Parisian way, this richly illustrated new volume on the world's most bewitching city shows Paris in all its light, shade, glamour and grandeur. From magnificent squares to exquisite side streets, tucked-away gardens to quiet neighbourhood bistros, "Paris Secrets: Architecture, Interiors, Quartiers, Corners" shows the sophistication and grace that underline this, the City of Light. Wind your way through Paris via pages shimmering with seductive stairwells, irresistible bistros and patisseries, beguiling back streets, beautiful boulevards, enticing courtyards and must-see interiors. A modern guide for the urban aesthete - and perfect for either those who have already fallen in love with Paris, or those planning a memorable first visit - it is both an insightful travel resource and an architectural study capturing Paris' elegance and atmosphere in spectacular detail. In Inside Edinburgh, David Torrance takes us on a journey of discovery beyond the grand architectural facades of Scotland's capital, revealing the often private interiors of Edinburgh's most unique buildings. In this brilliantly conceived and illuminating pictorial record of 100 of Edinburgh's most fascinating period interiors, specially commissioned photographs capture the varied atmospheres of these venerable locations, from hotels, restaurants, shops, pubs, hospitals, and gentlemen's clubs to town houses. Each photograph is accompanied by a short text which not only describes the key features of architectural and design interest, but also uncovers related historical anecdotes. Examples include the Beaux Arts interiors of St Andrew's House and the tiled walls of the Cafe Royal bar. Intact interiors such as T J Walls opticians on Forrest Road and the Phoebe Anna Traquair-decorated Song School are also presented. Comprehensive information on buildings open to the public is included. It is a compelling, luminous and beautiful record of Edinburgh's grand interiors, from those that are open for all to see, to those that are seldom recognised. A highly detailed look at the English country house interior, offering unprecedented access to England's finest rooms. In this splendid book, renowned historian Jeremy Musson explores the interiors and decoration of the great country houses of England, offering a brilliantly detailed presentation of the epitome of style in each period of the country house, including the great Jacobean manor house, the Georgian mansion, and the Gothic Revival castle. For the first time, houses known worldwide for their exquisite architecture and decoration - including Wilton in Wiltshire, Chatsworth in Derbyshire, and North Yorkshire's Castle Howard - are seen in unprecedented detail. With intimate views of fabric, gilding, carving, and furnishings, the book will be a source of inspiration to interior designers, architects, and home owners, and a must-have for anglophiles and historic house enthusiasts. The fifteen houses included represent the key periods in the history of English country house decoration and cover the major interior fashions and styles. Stunning new color photographs by Paul Barker - who was given unparalleled access to the houses - offer readers new insights into the enduring English country house style. Supplementing these are unique black-and-white images from the archive of the esteemed Country Life magazine. Collins Complete DIY Manual has sold over 3 million copies and is the most comprehensive and authoritative DIY manual ever produced. For novices, DIY enthusiasts or professionals, this essential book continues to be the most in-depth, up-to-date and user-friendly DIY book on the market, covering everything from decorating and repairs to electricity, plumbing and much more. This fully updated version features an even more accessible design to help you navigate easily through the info, and thousands of new photographs and illustrations to make sure you get your job done quickly and safely. There have been many changes to regulations in recent years, particularly in electricity (the new Part P legislation and changes to cable colours) - the Manual not only lists but also clearly explains these new regs and helps you work with them. And as we all become much more conscious of the environmental impact our homes have, new material on energy-saving DIY is essential reading for any householder - saving you money too in the process. In scarcely any other European region are technological advances and contemporary interpretations of tradition in such harmony and so self-evident as in the Scandinavian countries, Europe's northernmost region. Here, alongside Ikea's mass-produced designs, a uniquely creative architecture and design scene has developed. The frequent utilisation of natural and traditional materials allows design trends to emerge that inspire around the world. Furthermore, this close relationship to nature demands the respectful handling of natural resources. This volume reveals that it is not only the functionality of the represented interior spaces that is of foremost importance, but also the skilful handling of light, color and material. Around 50 recent examples from both the private and the public spheres are presented from Sweden, Norway, Denmark, Finland and Iceland. In English and German. Be inspired to create a home that reflects you and the things that you love with the help of Kirstie's Homemade Home. Nothing compares with the pleasure and satisfaction of making something yourself and Kirstie shows just how easy it can be. Drawing on the advice and enthusiasm of a host of craft experts, Kirstie shows how to personalise your home and create your own gifts with simple and practical step-by-step projects. From stencilling wallpaper and sewing your own cushions and quilts, to making candles and soap and icing a cake, Kirstie's Homemade Home includes everything you need to get to get you started. Packed with advice on how to find a style that reflects you as well as Kirstie's own little black book of shops and websites that have helped her to transform her own home, Kirstie's Homemade Home is for everyone who loves car boot sales and antiques and values the art of the homemade. Bestselling author Alain de Botton has written about love, travel, status and how philosophy can console us. Now he turns his attention to one of our most intense but often hidden love affairs: with our houses and their furnishings. He asks: What makes a house truly beautiful? Why are many new houses so ugly? Why do we argue so bitterly about sofas and pictures - and can differences of taste ever be satisfactorily resolved? Will minimalism make us happier than ornaments? To answer these questions and many more, de Botton looks at buildings across the world, from medieval wooden huts to modern skyscrapers; he examines sofas and cathedrals, tea sets and office complexes, and teases out a host of often surprising philosophical insights. The Architecture of Happiness will take you on a beguiling tour through the history and psychology of architecture and interior design, and will forever alter your relationship with buildings. It will change the way you look at your current home - and help you make the right decisions about your next one. A home is a container of dreams, childhood memories and life experiences, a very personal place that reflects everything about you and your way of life. George Clarke's philosophy is that if the spaces in your home are reconfigured to work for you then the architecture can completely transform the way that you live. As an architect he has the ability to turn 'space' into 'home', something he has demonstrated on the very popular Home Show. The Home Bible is an essential recipe book, full of golden rules, top tips and inspiring examples gleaned from years of experience, to show you how, instead of moving house, you can realise the full potential of your current home. From city high-rises to seaside cottages, the great manor homes of England to the smallest beach house on the other side of the Atlantic, the beauty of the Cabbages & Roses brand is the gentle but highly visible vintage design. This lavish book embodies all locations - country, city and coast. Chapters encompass Classic Country, Modern City, Island Country and Outdoor Country. Homes that bring together the old and the new, evoking the atmosphere of each season, sit beside city spaces where urban living combines with vintage style - think faded florals and ticking fabrics softening an industrial space, splashes of colour to enliven it and contrasting textures to add interest. Coastal dwellings are fresh, breezy and dreamy - beautifully suited for beach living. The book shows that the country can come to the city, that the city can benefit from coastal settings and that Cabbages & Roses is a gentle, unassuming and, above all, beautiful asset to any home as it easily complements all environments. People say that the most successful homes are the most sustaining and invigorating to live in, or even just to visit. This is true of Barton Court, the house in Berkshire where Terence Conran has made his country home since 1977. It has been a family home, a centre to his Habitat Design business, a factory and studio for producing commercial and domestic furniture, a laboratory for testing his recipes and writing cookery books and has a working fruit, vegetable and herb garden, supplying produce for his restaurants. Through the objects that Terence has collected, and the things he finds on his travels, we can learn, not only about the man behind a multi-million pound empire, but the processes that stimulate his creativity and the sources of his inspiration. There are thousands of products available for use in interior environments, every one with its assets and disadvantages. The process of selecting the right interior material for the job can be bewildering and - occasionally - perilous. This book is a guide to knowing, evaluating, and selecting materials that will look good, work well, and respect human and environmental needs. Organized by types of materials, and applications, this guide helps designers successfully address material evaluation and selection of interior components. Technical information for each material is presented in a concise reference format to aid designers in their design solutions. Covering all aspects of interior design materials, this book includes: health and safety codes; human factors and material selection; economic criteria; environmental criteria; and, finishes for walls, windows, ceilings, flooring, and millwork and furniture materials. Practical estimating and installation tools, industry standards, testing and code requirements, and written specification guides for each application. Engagingly written, highly detailed, and helpfully illustrated with more than 250 color and black-and-white illustrations, "Materials for Interior Environments" is a comprehensive guide to everything a designer needs to know about the materials available for interiors - from aesthetic qualities to manufacturing and fabrication, applications, installation and maintenance, and specifications for materials used in commercial and residential applications. French design is rich in the exceptional details that make a home unique. Drawing inspiration from the most creative antique shops found throughout France, this book is a treasure-trove of ideas for incorporating that inimitable French style into any interior. This book features objects found in all regions of France from the celebrated flea markets of Paris to the charming antique shops of Provence and provides a visually stunning catalog of ideas that capture the spirit of vintage French style. From the quirky charm of a mismatched tea service to the graphic simplicity of wooden printers typefaces; from the bright charm of Provincial print fabrics to the faded glamour of distressed gilding, the many enticing facets of timeless French style are on display. Terence Conran demonstrates that a little really is enough and that basic design principles can maximize the smallest living space to result in stylish and functional homes. The book is presented in three sections. Part One, Making the Most of Small Spaces, discusses how design and spatial planning are the key to maximizing space as every square metre counts. Decoration and Furnishing discusses how to adopt various strategies to make your space look and feel larger, from creative use of colours and textures to lighting and furniture. The ultimate way to enhance a small space is to physically make it bigger; Branching Out discusses the ways in which this can be done, from conversions to extensions. In Part Two, Area by Area Solutions presents a room by room breakdown, demonstrating space-saving ideas, storage solutions and strategies for compact layouts specific to each room. From kitchens, bedrooms and bathrooms to small gardens and second homes, each chapter is full of intelligent, functional and sometimes quirky ways in which to make the most of living space. Finally, international case studies that demonstrate how good design principles have been applied in real terms. This book is a biography of Winston Churchill through the houses he lived in and the gardens he made. It culminates with the full story of his purchase, alteration and creation of Chartwell, Kent, where he lived for more than forty years before and after the war, and which is now owned and run by the National Trust in keeping with his intentions. Churchill was born amidst the splendour of Blenheim Palace but, ever a restless spirit, he owned or rented many houses, both grand and relatively modest, over the course of his long life, including country retreats, modern town apartments and, as First Lord of the Admiralty, Admiralty House. But it was his house at Chartwell that would be for ever associated with the name Churchill. Based on extensive and scholarly archive study, this unique book brings to light an array of previously unpublished details and reveals a fascinating side to Britain's greatest war leader. Winston Churchill was named the Greatest Briton of all time in a BBC poll that attracted nearly a million votes. He remains a hugely popular figure. This is the first book on Churchill to focus on this relatively private aspect of his character. It contains material from the Churchill archives, including reproductions of his paintings. This is the do-it-all guide to putting the art in arts quilts! Develop the quilt artist in you. Explore fabric collage, thread painting, innovative piecing, and photo imagery on fabric. Learn about the business side of creating, exhibiting and marketing your quilts. Take your art quilts to new levels with Jane and Elin guiding the way. Do the lessons and the homework, check out all the beautiful gallery quilts for inspiration, and find lots of resources for further study. The age of cheap energy is over and energy costs will increase relentlessly in the future as demand outstrips supply. Energy-saving measures in the home will, therefore, become ever more cost-effective throughout lifetimes. This non-technical book is packed full of useful information and tips. The book covers every aspect of the efficient consumption of energy in the home including the following: the position of the dwelling, its method of construction and the materials used; energy rating and the legal framework; insulation and U-values; windows and doors; conservatories, sunrooms and loft conversions; heating and hot-water systems; lighting and making the best use of daylight; ventilation; renewable energy technologies; appliances, gadgets and housekeeping; and the wider environmental issues including water economy and recycling. Welcoming friends and family to gather for the Christmas holiday season gives us the opportunity to create a special setting. Candlelight dramatically changes the look of any room - or outdoor area - within moments. There is simply no easier, less expensive, more stylish or effective way to enhance the mood of our living space. The soft glow of candles creates a warm and festive atmosphere, perfect for holiday entertaining. Lush full-colour photographs will show candles in all rooms in the house, as well as in table settings and floral arrangements. Twenty easy how-to decorative projects are included. This book will be an inspiration, and a wonderful holiday gift. Tricia Guild is known for her bold and original fabric and wallpaper collections and her extraordinary ability to use colour and pattern in decoration. She is inspired by fabrics, techniques, motifs and designs from all over the world and from every period of history - brocades and damasks from the Far East; the rich history of botanical illustration and flower painting; checks, plaids and stripes from northern Europe; vibrant ethnic prints from India and Central America; painterly designs from Chinese and European porcelain; the bold abstracts and geometric patterns of contemporary painters. Today, there has probably never been more popular interest in pattern. After what seems like decades of white walls, pattern on wallpaper and fabric are making a timely comeback in our interiors. As one of the world's leading designers, Tricia Guild is in the vanguard of this exciting pattern revival. Indeed, pattern has always been vital to her way of working, second only to her bold and innovative approach to colour. Her masterful mixing of large and small-scale patterns in a variety of contrasting colours, finishes and textures, is renowned throughout the world, and can be seen in detail in the specially designed room sets that illustrate this book. Taking traditional motifs or designs and giving them a modern twist, finding surprising contemporary uses for forgotten techniques such as flock printing and applique, and reinterpreting the ikats, crewelwork, quilting and other techniques seen on travels everywhere from New York to India are vital to her way of working. This book celebrates pattern in all of its wonderful diversity. This collection of interiors provides a rich resource for anyone contemplating the restoration - or simply the revitalizing - of a rural home. From a converted Provencal barn to a classic eighteenth-century English country house, and from a Scottish castle to a simple summer retreat in a Spanish fishing village, these interiors offer the jaded city dweller or confirmed countryside lover a wealth of delightful detail from which to draw inspiration. Combining relaxed comfort with style and the sympathetic use of traditional finishes and materials, these homes are overflowing with charm and character. Whether you prefer cosy clutter or a clean, minimalist sweep, "Storage" provides all the practical information and creative inspiration you need to organise every area in your home. The book is divided into two principal sections, one on planning and assessment, the essential starting point for reorganization, and the other providing an area-by-area breakdown of particular storage requirements and approaches, including the optimum conditions for storing different types of belongings. Individual case studies provide in-depth coverage of specific solutions. How do you combine colours without them clashing? How do you know which colours will complement each other for a subdued effect, and which will give a more energised feel? This inspirational handbook contains over 200 colour scheme ideas for interior designers and home decorators. Discover how colour can be used to create ambience, or to give the illusion of space, depth, warmth and light. Divided into the major colour groups, each section explores a range of hues, from primary brights to the palest of pastels, presenting failsafe palettes for refreshingly original interior schemes. Taking an imaginative and creative look at the potential of creating and using light, Lighting by Design opens a new perspective on outdoor and indoor design. It is designed to make lighting not so much a myth, but an essential part of interior design. It is easy to visualise fabrics from swatches and large samples, but lighting is more complex; we cannot touch or feel it, yet it is all around us and responsible for what we see. One needs to understand light in three dimensions - it's not only important what is lit, but to know where shadows are created. Skilful lighting is the balance between light and shade. Starting with a discussion on the nature of light and the interplay of light and shadow on buildings inside and out, the author inspires with the imaginative creation of light within the home for varying effects from calm softness to theatrical drama. A major part of the book is devoted to outdoor lighting, from entrances and exits, roof terraces and decks to special features such as topiary, swimming pools, water features and statues blending, garden spaces and interior dimension into a unified whole. Specially commissioned photography shows before and after effects and unusual usage of daylight and artificial light to create new moods. Inspirational photographs feature the interiors of respected designers such as Jonathan Reed, Mary Fox Linton, Nina Campbell and Tricia Guild. Further features include use of pattern, focus, using coloured light and provide advice on the best choice of colours to maximise reflection into a space. In the Mood is packed with elegant ideas, superb photographs and imaginative suggestions for creating a dramatic and changing environment. This book adds a whole new dimension to interior design. A variety of writers are featured, such as Gerald Clarke (Cary Grant and Randolph Scott), Nancy Collins (Cher and Diane Keaton), and Donald Spoto (Marilyn Monroe). The superb images were by a range of photographers as well, including Architectural Digest regulars Tim Street-Porter, Durston Saylor, and Mary E. Nichols. The following homes are featured in the book - Orson Welles, John Wayne, Jack Warner, John Travolta/Kelly Preston, Jimmy Stewart, Steven Spielberg, Frank Sinatra, Martin Scorsese, Dennis Quaid, Marilyn Monroe, Jayne Mansfield, Diane Keaton, Danny Kaye, Angelica Huston/John Huston, Katharine Hepburn, Jean Harlow, Cary Grant/Randolph Scott, Greta Garbo, Judy Garland, Clark Gable/Carole Lombard, Cecile B. de Mille, George Cukor, Cher, Humphrey Bogart/Lauren Bacall and Ronald Reagan. The Royal Pavilion, Brighton, is one of the most famous and opulent royal extravaganzas in existence. First built in 1787 for the Prince of Wales as a neo-classical marine villa, by the time the Prince became king in 1820 it had grown into the extraordinary Indian-Chinese fantasy that it is today. This study reproduces all of the important surviving designs, for the exterior and interior of the Pavilion, revealing the great variety of brilliant exotic schemes devised for its construction and decoration. The projects for the exterior include the pretty but chaste designs of Henry Holland and the wilder Indian and Chinese fantasies of William Pordent and Humphry. The interior designs are often astonishing; they include schemes for whole rooms as well as for individual details such as windows, skylights, doorways, carpets and curtains. Originally devised as a guide for converting from imperial to metric measurements, 'The Metric Handbook' has since been totally transformed into a major international handbook of planning and design data. The second edition has been completely updated, with most chapters being totally rewritten, to meet the needs of the modern designer. The book contains nearly 50 chapters dealing with all the principal building types from airports, factories and warehouses, offices shops and hospitals, to schools, religious buildings and libraries. For each building type 'The Metric Handbook' gives the basic design requirements and all the principal dimensional data. Several chapters deal with general aspects of building such as materials, lighting, acoustics and tropical design. There are also sections on general design data, including details of human dimensions and space requirements. It is a unique authoritative reference for solving everyday planning problems. In its various editions it has sold over 100,000 copies worldwide, and continues to be a reference work belonging on every design office desk or drawing board. By the time of the Paris exhibition of 1925 from which Art Deco took its name, the idea that an interior and its furnishings should form a complete design - a "total look" - dominated the thinking of both designers and their clients. Studios began to emerge to serve the needs of a design and style-conscious middle-class. This text displays the flourishing design ingenuity through contemporary photographs and illustrations of selected interiors complemented with modern photographs of individual pieces. It traces the sylistic evolution and dominant motifs of Deco, the triumph of the 1925 exhibition and the pure "high style" of the Paris ensembliers; the growth of Streamline Moderne offshoots in the US; the international revival of Deco as a decorative style for a new generation of post-modern designers; and the restoration of many Art Deco interiors to their original state. Situated on a ridge overlooking the beautiful Land Yeo Valley, Tyntesfield is one the last remaining examples of a great country house built in the Victorian High Gothic style. It survives intact with visitors able to view an unrivalled collection of Victorian decorative arts, experience an insight into life below stairs and see a sumptuously decorated private chapel. Each year thousands of visitors come through its doors and since its acquisition by the National Trust in 2002 it has become one of the jewels in the Trust's crown. But behind the house there exists the fascinating story of the Gibbs family. "Fertile Fortune" reveals their history and how each generation stamped its own identity on the house and estate. William Gibbs came from an Exeter merchant family. His company began to export guano from the offshore Pacific islands. These bird droppings, rich in nitrate, proved a godsend as fertiliser for British farmers. A fortune was made, and Tyntesfield built in 1864. Filled with stunning images of Tyntesfield and descriptions of some of the arts held within its walls, "Fertile Fortune" is both a fascinating read and a pictorial tour of the house. A guide to creating a beautiful home from Stephen Sills and James Huniford - interior designers whose work is lauded by such clients as Vera Wang, Anna Wintour and Tina Turner. The book brings the luxury and sensuality of Sills Huniford's signature style to such practical concerns as integrating technology into the home, devising the most flexible floor plan and getting the most out of a small space and modest budget. Every aspect of style is addressed in clear language, detailing each basic design lesson, and their understanding of atmosphere, colour and design is brought to life in photographs that prove both inspiring and practical.